Cindy is a Partner at Oraro & Company Advocates in the corporate & commercial practice group. She has over 7 years’ experience and has advised local and international clients in corporate restructuring, commercial agreements, mergers & acquisition, private equity, and projects & infrastructure. Cindy has over the years taken a keen interest in Kenya's energy sector, particularly in geothermal, mining, oil & gas and solar. She recently advised the government-to-government collaboration between the Government of Kenya and China National Petroleum Corporation on a proposed USD 1.8 billion project to develop up to 350 MW of geothermal power. 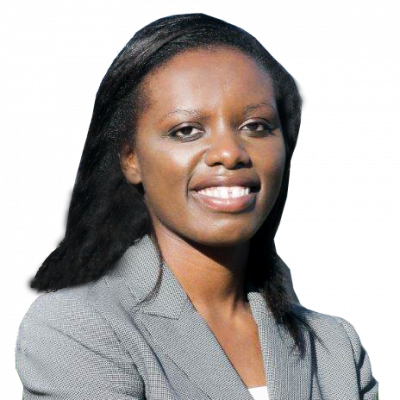 Cindy holds a Master of Laws (LLM) in Commercial Law from University of Bristol, and a Bachelor of Laws (LLB) from Durham University from the United Kingdom respectively and a Diploma in Law from the Kenya School of Law. "Cindy has a keen interest in energy, particularly geothermal, oil and gas and solar." Part of a team that advised the Government of Kenya on the financial and operational restructuring of Kenya Airways (KQ) including converting USD 2.3 Billion into equity and the legal implications of relinquishing its security. Part of the team advising one of Kenya’s largest publicly listed sugar manufacturing companies on the restructuring of its debt by both local and international lenders. Part of a team that advised a consortium of special economic-zone operators in the manufacturing sector looking to establish a corporate presence in Kenya and advised on their regulatory compliance. Advised on an energy project with design-build finance maintain and operate aspects where we acted for the owner of five (5) SPVS entitled to generating 40 MW of solar energy each in a transaction to sell the SPVs as well as all the rights and licenses required to generate such power, as well as transferring the land which is subject to the licenses. Advised a client on the legal structure of its equipment leasing framework and reviewing its operating lease and instalment sale and full maintenance agreement. Advised a multilateral development bank on the USD 30 million financing of a tertiary care multispecialty hospital.